Contemporary, modern and uniquely stylish, our red Malaga Dining Chairs will be a truly eye-catching addition to your dining set. Bringing a modern edge to any dining area, red Malaga Chairs feature sleek brushed stainless steel legs and are complete with smooth, red PU leather upholstery. 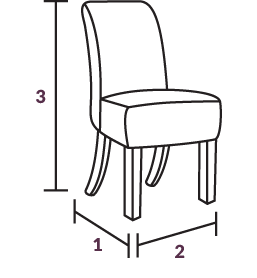 Malaga Dining Chairs are available in black, grey, green, white and purple.